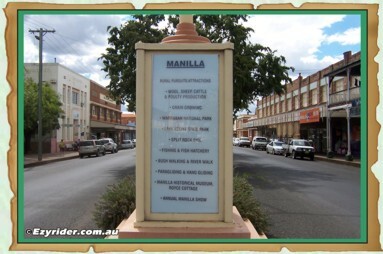 The following is a range of pictures of the main street of Manilla, buildings and park area. 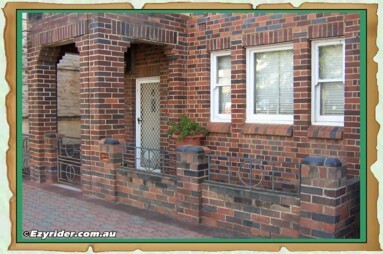 The street still maintains the centre garden area as it was in the 1950's. 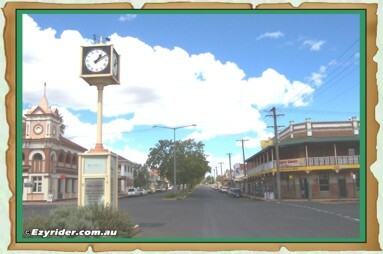 In the centre of 'Manilla Street', the main street, is a clock that still stands tall, symbolising a time that reflects a heritage. 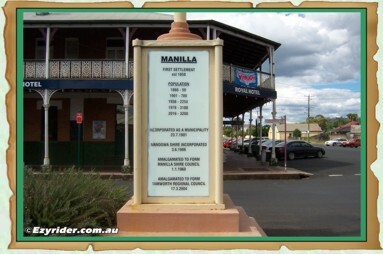 This clock was erected in June 1938 and documents important milestones for Manilla. 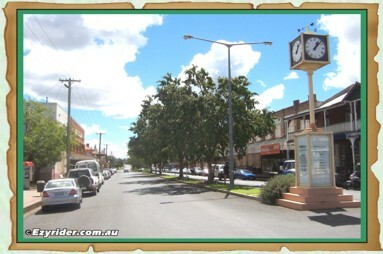 In 2016 the historical information on the clock was updated. Pictures and information below. 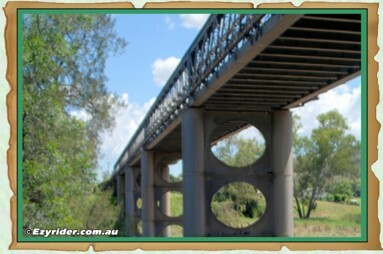 Left: Bridge erected over Namoi River 1887; Railway to Manilla 1899-1987; Electric light installation 1913; Manilla Street centre gardens established 1932; Manilla Hospital 1906-2012; Manilla MPS 2012; Manellae Lodge 1994; Memorial Pool 1967; Town Clock erected 1938. 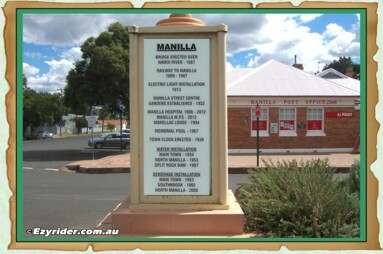 Water Installation - Main town 1934; North Manilla 1953; Split Rock Dam 1987. 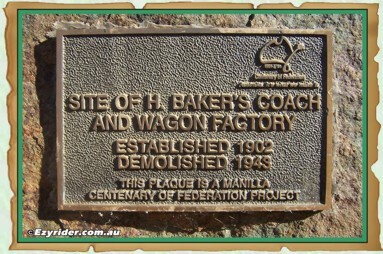 Sewerage Installation - Main Town 1953; Southbrook 1965; North Manilla 2000. 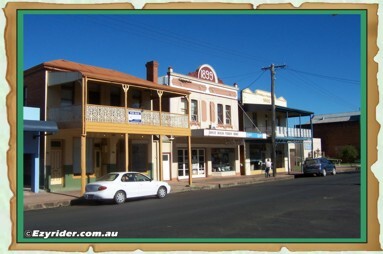 Right: Graphical location NSW North West Slopes and Plains; Lat -30' 44' 51.43". 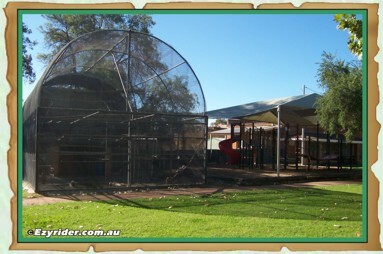 Longitude 150' 43' 12.71". 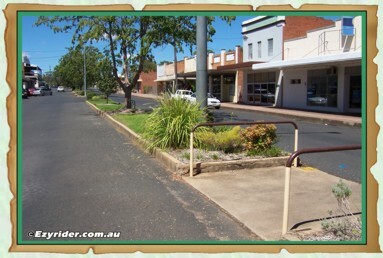 Road Distance: From Sydney 512 klms. From Brisbane 573 klms. Altitude 363 metres. 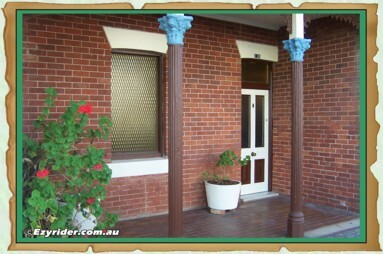 Average Rainfall 675 millimetres. 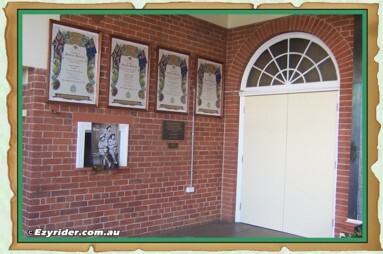 Left: Rural Pursuits/Attractions: Wool Sheep Cattle & Poultry Production, Grain Growing, Warrabar National Park, Lake Keepit State Park, Split Rock Dam, Fishing & Fish Hatchery, Bush Walking & River Walk, Paragliding and Hang Gliding, Manilla Historical Museum Royce Cottage, Annual Manilla Show. 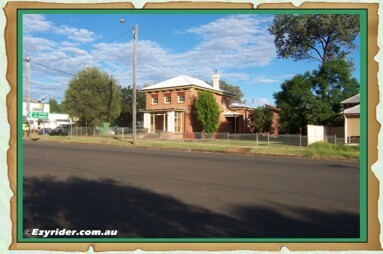 Right: First Settlement est 1858. Population: 1866 - 50, 1901 - 780, 1938 - 2250, 1978 - 3100, 2016 - 3200. 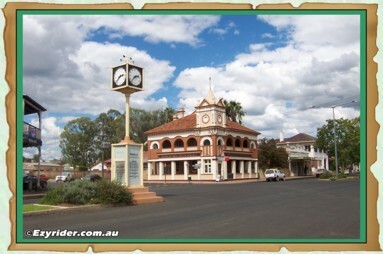 Incorporated as Municipality 23.7.1901. 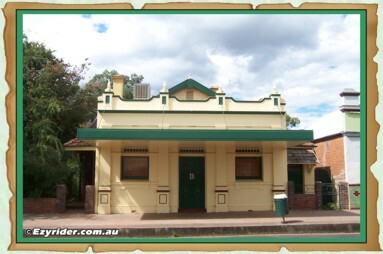 Mandowa Shire Incorporated 3.6.1906. 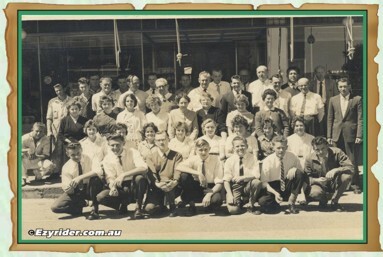 Amalgamated to form Manilla Shire Council 1.1.1960. 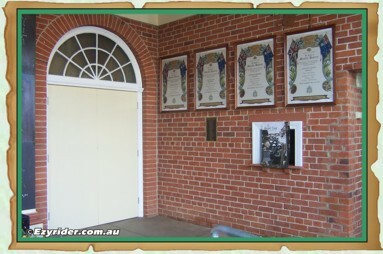 Amalgamated to form Tamworth Regional Council 17.3.2004. 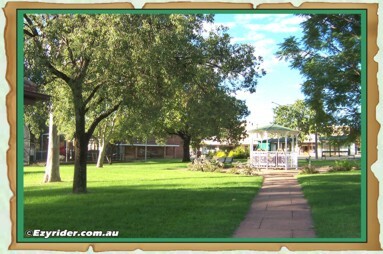 Left - Looking south from the verandah of the Royal Hotel towards Tamworth. Right - Looking north towards the bridge and north Manilla. 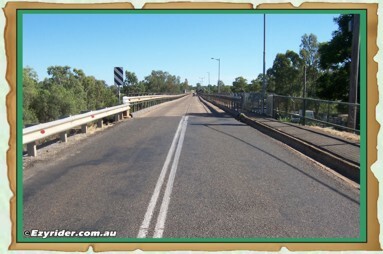 The Manilla bridge over the Namoi River. 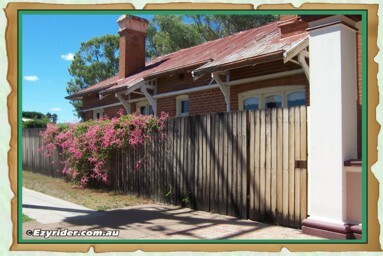 Built in 1887 and courtesy caution required while travelling to north Manilla towards Barraba. 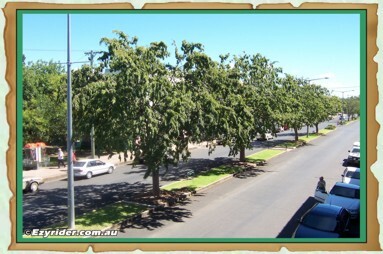 Left - The view from the walkway of the Manilla Bridge looking east. 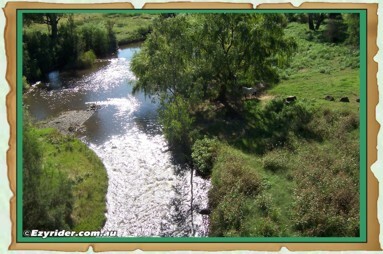 Look closely and you can see the horse resting - middle right. 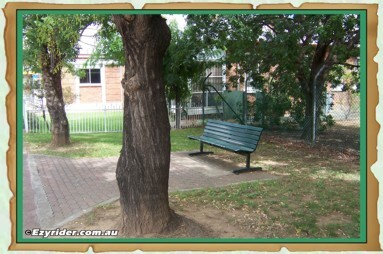 Right - Beside the Post Office there is a chair where you can watch the activity around the main area of Manilla during the day. 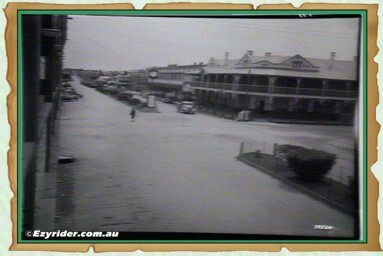 Manilla street 1950's looking towards the northerly centre. 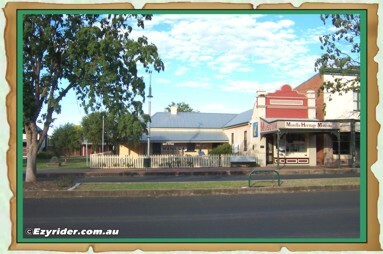 The white building on the left is the old picture theatre. 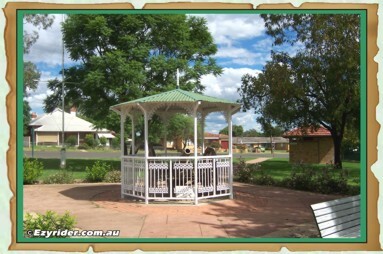 A very popular entertainment area for many years. 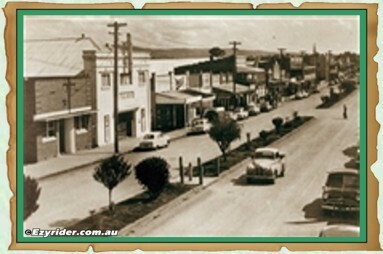 Left - Westpac building (Bank NSW in the 1950's) Right - Manilla and District Soldiers Memorial Hall and the building on the right was where community events/entertainment were held. 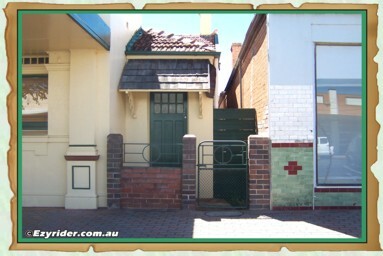 Different types of federation style buildings located in Manilla Street. 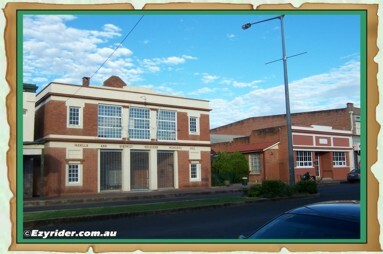 Two professional buildings in Manilla Street. The one on the left I knew as a Dentists, where I had a tooth filled once without anaesthetic! 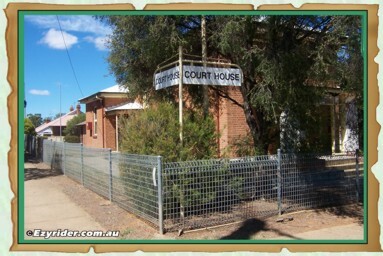 Left - The Manilla Court House. 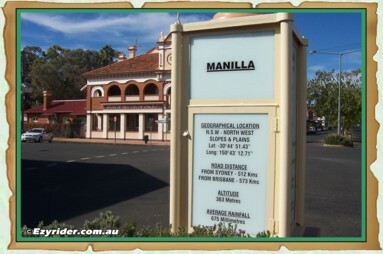 Right - The Manilla Heritage Museum on the right combined with 1884 "Royce Cottage" - a 'must' visit while in Manilla. 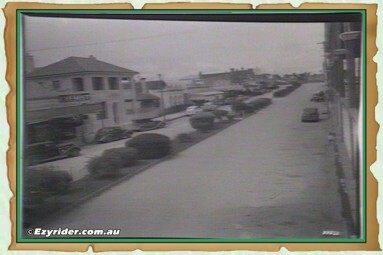 Images of the Main Street in 1949 taken from the Post Office Hotel verandah. 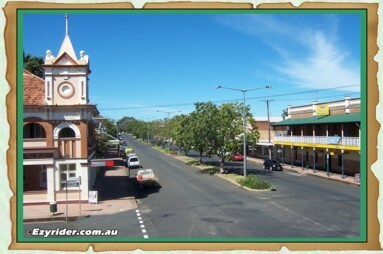 Left - Looking north Right - Looking south. 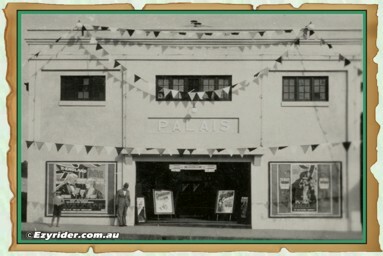 The local picture theatre, the 'Palais', was a very popular place in the 1950's-1960's. 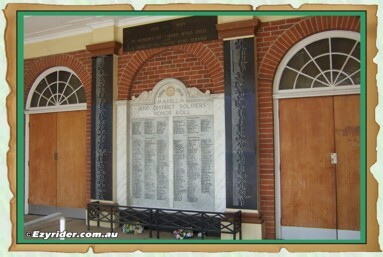 It was the main centre of entertainment in Manilla. 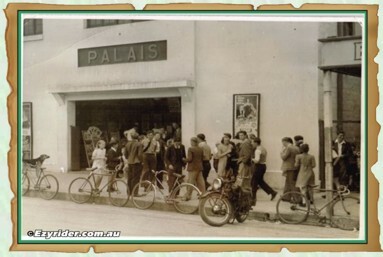 Notice how all the bikes are left outside, safely, while patrons attend the movies. 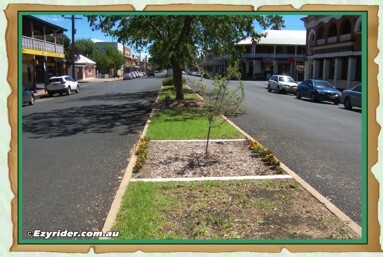 The main street park is at the southern end of Manilla Street near the bus stop and opposite the Court House. 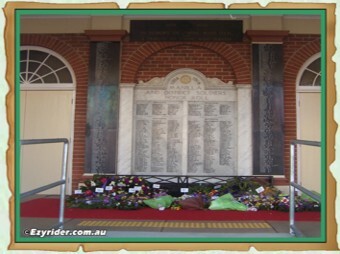 It still has the guns captured by the 33rd battalion - 1914-1918. 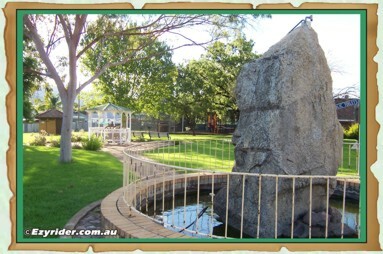 The park maintains its same appeal as it did in the 1950's with some additional highlights like the large bird avery and the rock sculpture. 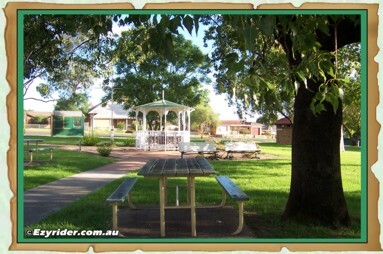 It is a peaceful park where you can reflect on a past within nature. 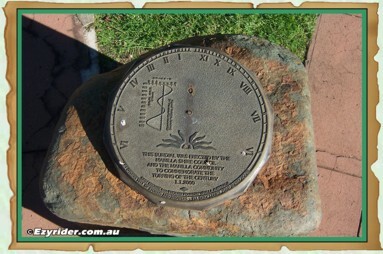 On the top is a sundial - see below. 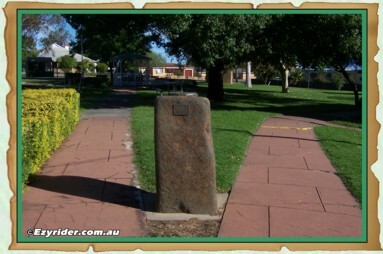 Left: "This sundial was erected by the Manilla Shire Council and the Manilla Community to Commemorate the turning of the Century 1.1.2000." Right: The bird avery in the park. 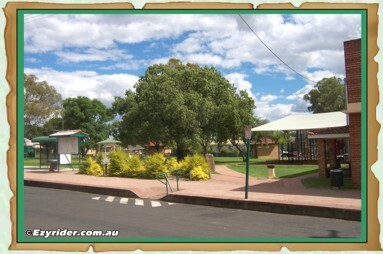 A view of the park looking west from Manilla street, with the bus shelter front left, playground towards the right and another shaded area front right.